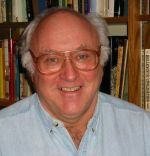 Daniel Pope is Professor of History at the University of Oregon where he has taught since 1975. Born in Brooklyn, New York, he received his undergraduate degree from Swarthmore College and his doctorate from Columbia University. The author of The Making of Modern Advertising (1983) and Nuclear Implosions: The Rise and Fall of the Washington Public Power Supply System (2008), he also has published many articles on advertising, marketing and consumer culture.